You could filter the view by the designation column to group the results. To separate the tables I would create different view blocks for each result and put them one after each other. You could use the block title for the Haryana/Ambala text and style it accordingly. 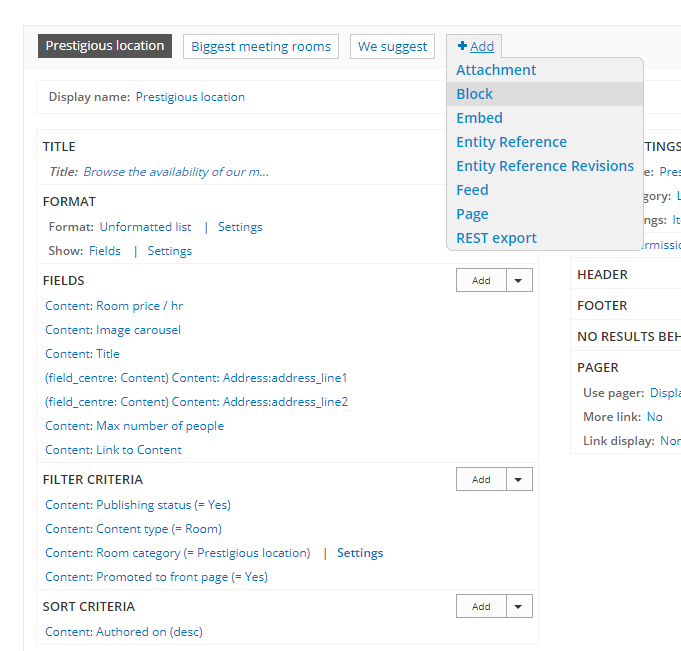 In the example bellow I have a view with 3 blocks and each of the blocks displays rooms tagged by a room category. What is the cleanest way to export one of the view page in D6 to D7? How to display the webform submission data in the below format in Views? How do I use add the image field Product entity in to my view? How to show a random image from unlimited image field using Views?